Synopsis: Following a break-up, struggling writer Jules (Dan Simon) crashes with his recently separated best friend Saul (Greg Lay) at his apartment in NYC. While Saul wants to drink heavily and lament over his impending divorce, Jules just wants to relax and finish his latest play. After Saul is fired from his job as a restaurant manager, and Jules loses an Off-Broadway production of his play, the two embark on a weekend bender through Brooklyn, Manhattan and Connecticut desperately trying to hold onto their sanity and each other. Dan Simon was born and raised in Manhattan by a theater- director/actor father and opera-singer/writer mother. As an actor, he’s starred opposite Oscar-nominee Viola Davis as well as Tony-Award winner Mario Cantone. Simon’s filmmaking has been selected, screened, and nominated for several awards around the world. Patrick Davin grew up in the foothills of the Adirondacks and is a graduate of Brandeis University and the William Esper Studio in New York City. He's acted in numerous plays off- off-Broadway and had several of his own produced. He’s best known for the film shorts BALLS, SHARKBITE, GETTIN BY, ALISON'S PROBLEM WITH WOMEN, and THE WHITE RUSSIAN. LONELY BOYS is his first feature production. 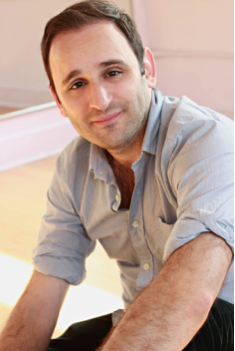 Gregory Lay was born in Rochester, NY, and is a graduate of BostonUniversity Film School and the Neighborhood PlayhouseSchool of the Theatre in New York City. His television credits include guest appearances on LAW AND ORDER SVU, FOREVER, PERSON OF INTEREST, and BLUE BLOODS.He’s also appeared with Matt Damon and Michael Kelly inTHE ADJUSTMENT BUREAU. Look for him leading the cast of the feature film CRAZY FAMOUS alongside Catherine Curtain and Ajay Naidu set to be released in late 2016.